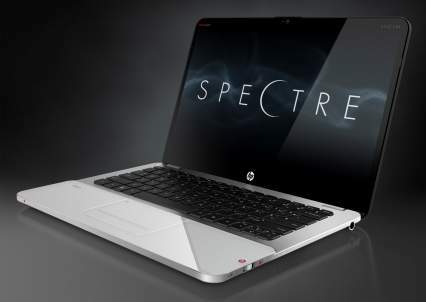 HP Envy 14 Spectre has a casing made ​​of scratch resistantglass. Specter relatively light weight of less than 1.8 kg and a thickness of 0.78 inches. HP Envy 14 Spectre using prossesorCore i5-2467M, RAM and 128GB SSD 4gm. Dimensions (WxDxH) 12.88" x 8.7" x 0.79"